TODAY we cover some more political issues including matters of law. “If it doesn’t matter to [the public], then sure, let them keep it a secret.”Dr. 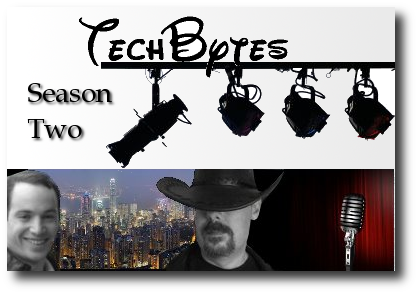 Roy Schestowitz: What is your take on the notion of “trade secret”? 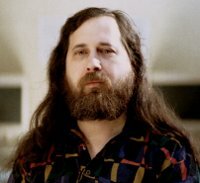 Dr. Richard Stallman: Well, since I think people have a right in general to keep secrets, that means they’re also gonna keep some trade secrets. And I don’t see any harm in this necessarily, for instance if you have a business and you don’t want to say who your customers are, well, OK, in general there is no reason why you should have to say who your customers are. On the other hand, when there is a public interest reason for certain information to be made available, that completely outweighs the businesses’ desire for secrecy. For instance, if you consider fracking, which is injecting fluids underground to push out natural gas. Well, some of those fluids are toxic and they have poisoned wells; they poisoned aquifers; they made people sick. But the companies say, “we don’t have to tell people what we’re injecting”. Well, as far as I’m concerned, what those companies want is of no importance compared with public health. When there is an important reason companies should be ordered to say what they’re doing, because their desire is only enough in a situation where there is no particular reason on the other side. If it doesn’t matter to [the public], then sure, let them keep it a secret. But when it matters in important way to others, then the companies’ desire is not important. Right, so basically that’s why it is diminished as soon as there is an externality. Right, you see, when you’re doing something that’s going to affect public health, you haven’t got a right to keep a secret–not when anything important is at stake. “[W]hen you’re doing something that’s going to affect public health, you haven’t got a right to keep a secret–not when anything important is at stake.”But an important reason outweighs and unimportant one. All else being equal, I see no harm if… sorry, if there’s no powerful reason why a company should have to reveal something, then let it keep a secret if it wishes. But whenever an important reason shows up for requiring this information to be disclosed, tough on the company. The last question I wanted ask it’s like, which is the government or state leader — either in the past or the present — that inspires you the most? I’m just saying, which is the government or state leader — either in the past or in the present — which inspires you the most? “But whenever an important reason shows up for requiring this information to be disclosed, tough on the company.”I don’t know how to answer a question like that. I’d have to think about it for a while to remember… you know, because if I read about some leader, that doesn’t mean I’ll remember today who that person is. And I might have felt, “wow, this is really a great example of doing the right thing,” but I don’t remember them. So my brain doesn’t work right for a question like that, sorry. Okay, so I’ll ask a different question instead. Which is the person you would endorse for the presidency in 2012? In fact, I already have. She is the Green Party candidate. 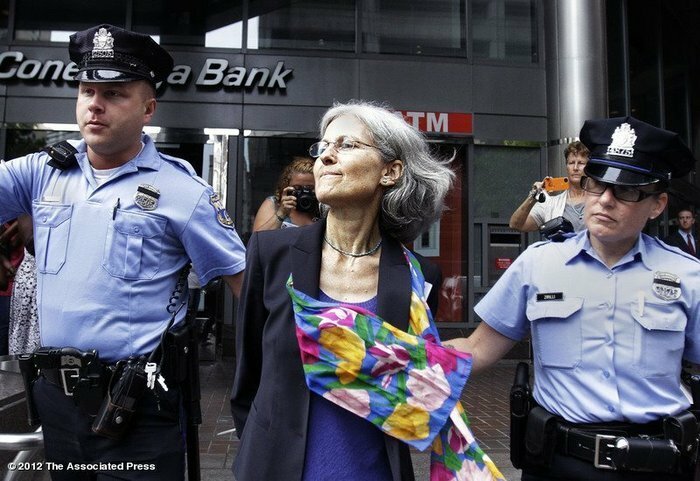 Well, I’d like to say why I endorse Jill Stein. “[Obama] is, I’d say, a Republican although he calls himself a Democrat.”Obama is basically right wing. He mostly does what companies want. And I won’t support a right-wing candidate. And of course Romney is even more right wing, but I’m not going to support a ring-wing candidate merely because he is a little less right wing than somebody else. Obama protects torturers. Obama personally orders assassinations away from battle fields. Obama basically supports the banksters. Obama was bending over backwards not to prosecute them for crimes–the banks had committed gross crimes connected with foreclosures, and he wanted to impose a settlement. Some state attorneys general refused to go along with the settlement, so he had to compromise a little; he said there would be an investigation, but he gave the investigation too little funds and it looks like it’s going to really go nowhere. And this is after the banks took thousands of people’s houses based on lying in court. So he’s protecting them after they’ve committed tremendous crimes that have harmed probably hundreds of thousands of Americans (if not millions, but I don’t actually know). Then, to go beyond that, last year he joined in advocating deficit reduction as a goal when of course, when there’s a recession what’s needed is deficit spending; that’s the only way to get out of it. Of course he couldn’t force the House of Representatives, which is controlled by the Republican Party, to vote for something, but he could have championed the right policy. That he could have done by himself, but he didn’t. So he is, I’d say, a Republican although he calls himself a Democrat. And not only that but he said nothing about the danger of global heating, and he’s pushing in every possible way to build the tar sands oil pipeline from Canada to the Gulf of Mexico. He really is on the side of the oil companies, which are trying to fry our planet. Here ends the series of interviews with Richard Stallman. We’ll have more guests shortly. Let’s call Obama’s first term what it really is: George W. Bush’s third term. As for Romney, if you take a look back at his time as governor of Massachusetts, you’ll see that he is neither left nor right wing. He is trying to get the backing of the right-leaning party, but he has no stance beyond the one that will best serve him for the minute in question. Look at his public statements on economic stimulus. First, in 2008, he wrote an editorial in the New York Times saying that the government should stay out and let the companies that aren’t working fail. In May of this year, he was then taking credit for the stimulus, saying that it was a success for saving jobs. Then, only one month later, he was accusing Obama of trying to cover-up how the stimulus had failed. If that isn’t enough, look at how well he backed his chief information officer, Peter Quinn. When Quinn made open standards a matter of public policy, Redmond started the smear campaign. Quinn was run out of town on a rail, with absolutely no help from Romney. The best analogy I can think of for Mitt Romney is a head of lettuce. It might seem like there’s something there, but, when you throw it into boiling water, it collapses on itself… the same way Romney does when there is any political heat. If you are left-leaning and the left takes Congress and Senate, then you’ll be happy with a Romney presidency. If you are right-leaning and the right takes Congress and Senate, then you will be happy with a Romney presidency. If you care about a president that has some actual core values, whether you disagree with them or not, then you will not be happy with Romney. Dennis Kucinich, Ralph Nader and others (maybe Paul too) found out that you can almost get majority of votes as long as you do what’s bad for the public and good for heads of corporations, just like head of lettuce himself, with his Magic Underwear. Brand Obama is good for getting minority votes. The system is so stacked it all comes down to corruption – whomever spends the most will get in. And the only way to get more money than the other guy is to promise more of your arse to their desires, and really: just to be one of the club to start with. Even here in AUS the so-called Labor party is a party for business and all one really has is a choice between the two ‘money’ parties (The greens are coming up, but there will be teething troubles if they get anywhere). Yet the media spin it so hard anyone would think Julia was Starlin himself. In the US, politicians sell out – that’s their way to get elected… But they are very concerned that they never look like they are selling out, so that makes them very prickly to work with.